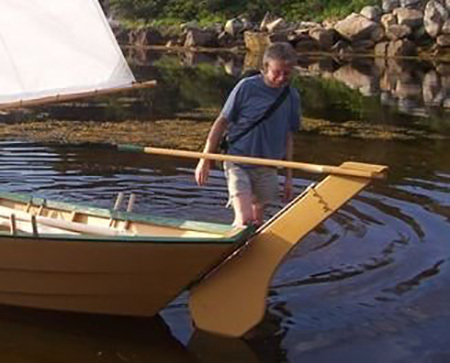 Highly recommended if you plan to sail your dory, a rudder is also a plus when using an outboard in a motor well. Rather than sitting on top of your motor, you can put the outboard in a fixed position and steer by the tiller. Steering in rough weather is also more reliable by this method.